Epec is a leader in Printed Circuit Board solutions and is committed to taking an active role in working closely with our customers and suppliers to identify and rapidly eliminate hazardous substances from their products. As an ISO 9001:2000 registered company, Epec is fully supportive of electronics industry efforts throughout the world to phase out the use of lead and other undesirable elements. Epec is a leader in providing an extensive array of lead free printed circuit board solutions. Epec's lead free products are fully RoHS compliant. Epec provides a RoHS Certification of Conformance (C of C) with all shipments. To allow easy identification of all RoHS compliant products and materials, all our packaging has a RoHS/Pb-Free label. 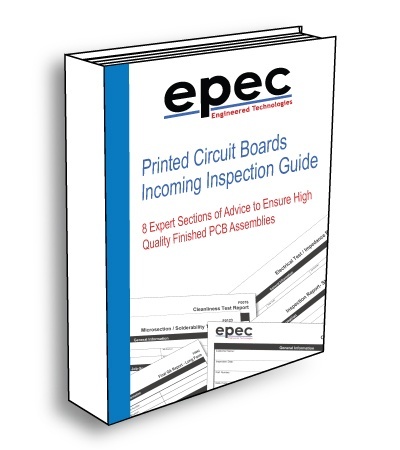 Compliance requires that Epec and our suppliers understand the material composition of our products—from FR4 laminate, solder mask, silkscreen, and plating, to surface finish and finished boards. We will provide you with technical documentation and supplier declarations to support your "due diligence." You are expected to provide this documentation upon request of EU regulators. Epec has qualified a wide variety of RoHS compliant surface finish alternatives. *With proper packaging and storage conditions. The principle performance criteria for lead free processing capability is Td (decomposition temperature) >340°C. For additional information visit Epec's PCB RoHS FAQ page or see blog post titled RoHS and Circuit Board Laminates - Not Just Tg Anymore for more information.